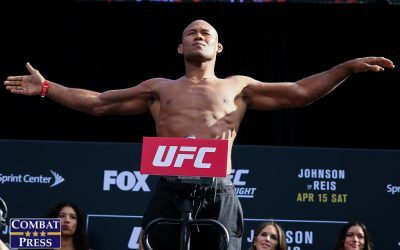 It’s been just over two months since the last Classic Entertainment and Sports offering, and it’s been that exact amount of time since Gil de Freitas laid claim to the CES welterweight crown with a first-round submission finish of Chip Moraza-Pollard. Now, de Freitas returns in an attempt to make his first successful title defense when he faces Chris Curtis in one of the featured bouts of CES MMA 32. 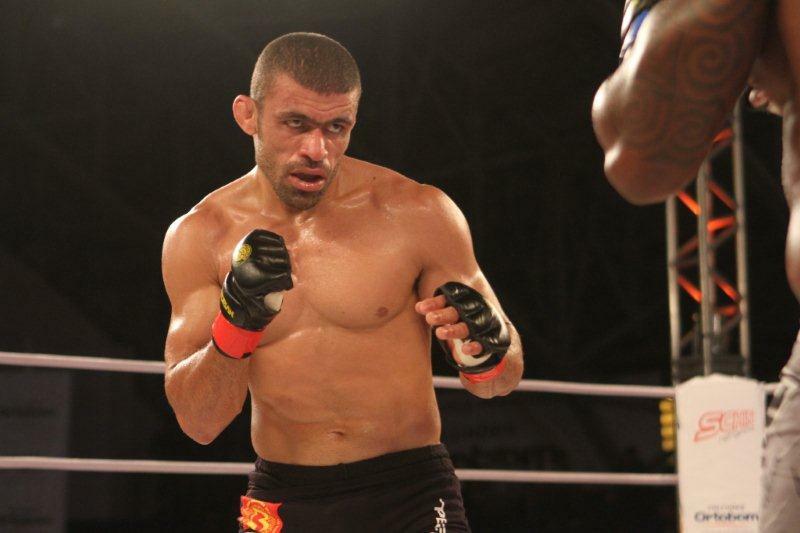 De Freitas, a member of The Ultimate Fighter: Brazil 2 cast who lost to Thiago Santos in his only fight on the reality series, made his pro debut in 2006 and found mixed success while fighting primarily in Brazil with a pair of trips to Japan. He went 13-5 before making his first excursion to U.S. shores. 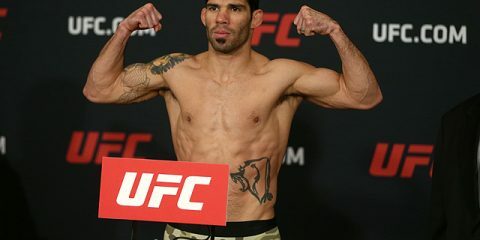 During his run in Brazil, de Freitas posted a victory over UFC veteran Edilberto de Oliveira and suffered losses to Pride vet Daniel Acácio, future UFC fighters Erick Silva and Wendell Oliveira and future Bellator fighter André Santos. His U.S. campaign has featured a better streak of consistency. 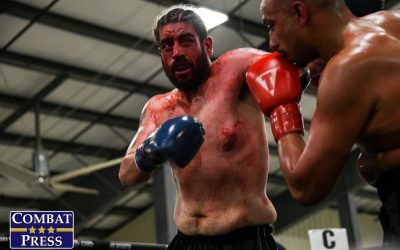 The Brazilian-born, Massachusetts-based fighter has gone undefeated through five outings, including three CES appearances, while defeating the likes of CES 32 headliner Ryan Sanders (twice), TUF alum Chuck O’Neil and veteran journeyman George Sheppard before topping Moraza-Pollard for the CES championship. 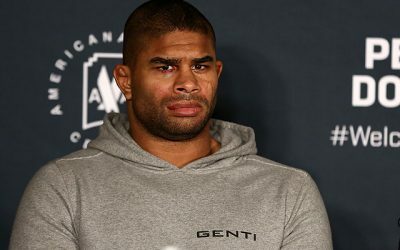 Despite holding the rank of black belt in Brazilian Jiu-Jitsu, de Freitas has actually finished more opponents (six) with strikes than he has via submission (three). The challenger, Curtis, hasn’t quite found his way out of his own roller coaster of wins and losses. 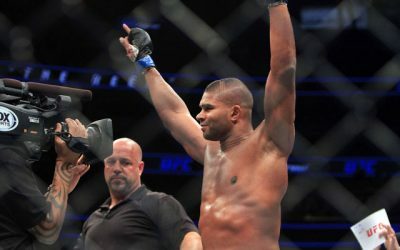 The 28-year-old debuted in 2009 with a loss and then won five straight, including a decision nod over future Strikeforce, UFC and Bellator fighter Nah-shon Burrell. 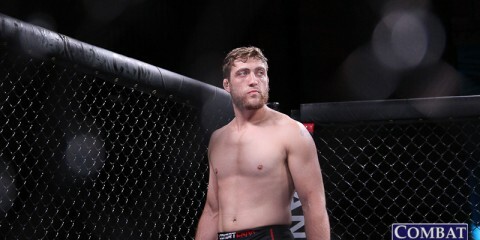 Curtis then lost to future The Ultimate Fighter 22 cast member Tom Gallicchio, won two more fights, lost to UFC veteran Forrest Petz, won three more fights, lost to Bellator veteran Belal Muhammad and then began his current two-fight winning streak. 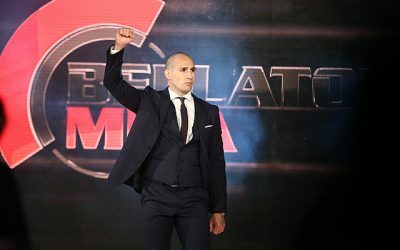 Along the way, he also made an unsuccessful bid on Bellator’s Fight Master reality series, where he lost via unanimous decision to Eric Scallan. 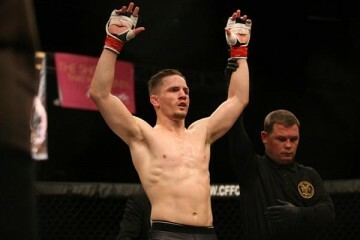 The Team Vision MMA product has four wins via strikes and two victories by way of submission. Curtis tends to be a tough out. He’s been submitted once, but the remainder of his losses ended on the scorecards. 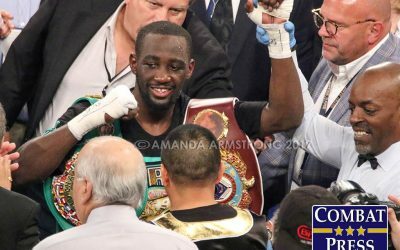 However, despite such notables as Burrell, Gallicchio, Petz and Muhammad on his resume, Curtis has never really encountered someone with the level of skill de Freitas possesses when a fight hits the canvas. Muhammad was able to outwrestle Curtis and control “The Action Man” on the ground, but he couldn’t submit him. De Freitas is quite capable of controlling Curtis too, but he also has the grappling chops to finish the fight before the final bell. Curtis is a strong fighter, but Muhammad exposed some glaring holes in his game that the Brazilian champ is quite capable of exploiting. De Freitas has been feeding on the level of competition that Curtis represents, and Curtis appears to be just one more name for the B9 Team and Team Link fighter to add to his list of victims. Curtis has been solid against extremely mediocre and sub-.500 competition in his recent wins, but de Freitas is the type of fighter he struggles against. 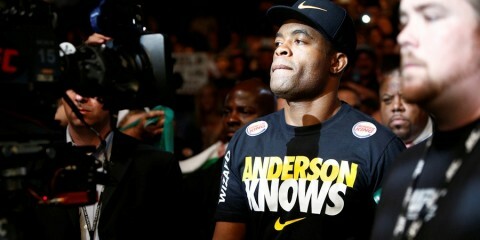 The champ might not be able to find the finish in the first round, but he has an additional four rounds to work with. Somewhere in those 25 minutes, Curtis will succumb to a submission, giving de Freitas a successful first title defense. 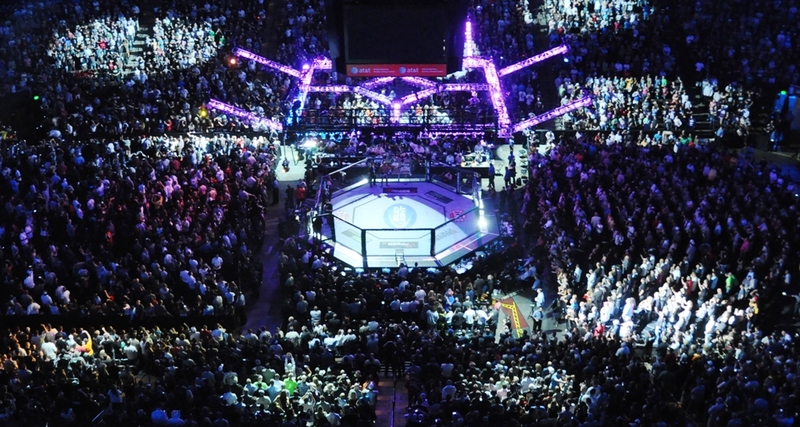 With the UFC housing the 115- and 135-pound women’s divisions, the flyweight division that lies between has experienced a mass exodus of established talent. However, the good news is that there’s plenty of fresh faces willing to step up and fill the void. 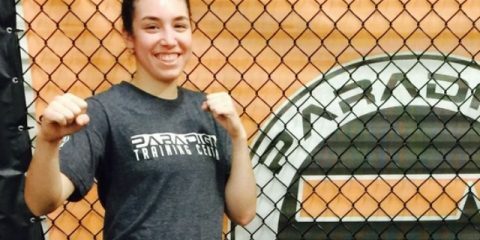 Cage Fury Fighting Championships has gathered two of those fighters, fringe top-10 candidates Isabelly Varela and Katlyn Chookagian, to fight for the promotion’s vacant women’s flyweight crown at the organization’s 55th offering, which comprises one-half of a two-event weekend for the New Jersey company. Parana Vale Tudo’s Varela is the more experienced of the two undefeated ladies. She debuted in late 2013 with a TKO victory and then picked up two armbar submission stoppages. She added another pair of decisions before stepping up to face slightly better competition in the form of Priscila Ferreira, who was also undefeated at the time. Varela dispatched of Ferreira in the first round with an armbar finish. She added another decision nod in September to move her record to its current 7-0 mark. Varela just turned 19 three days into the new year. Chookagian may only be five fights into her own undefeated career, but she’s quite possibly the more familiar name thanks to a previous stop in the World Series of Fighting and numerous appearances under the Cage Fury banner. The 27-year-old turned in a strong campaign as an amateur that included a submission finish of future Invicta fighter and Legacy champion Andrea Lee. As a pro, the Allstar Brazilian Jiu-Jitsu product has faced inexperienced competition, but she has continued her trend of impressive performances with one finish via strikes, one submission victory and three decision nods. Chookagian’s martial arts background began with karate as a child and extended to boxing, kickboxing and grappling as she progressed to high school. She is a Pennsylvania Golden Gloves winner and also claimed a tri-state kickboxing title as a youth. Cage Fury landed an excellent clash of up-and-comers when it booked this fight. Varela is still a teenager, but she has demonstrated a lot of potential in her seven fights. However, she can struggle to find the finish and has met some subpar competition along the way. Chookagian, meanwhile, might actually hold the overall experience edge thanks to her extensive amateur career. She’s been an effective finisher who can get the job done regardless of where the fight goes. Varela uses her striking to set up a change in levels to shoot for the takedown. She can be aggressive and dominant on the mat, but she also tends to get sloppy and lose position. Varela has managed to overcome this deficit in past match-ups, but Chookagian will make her pay. Chookagian is a very talented ground fighter who has trained with the Renzo Gracie and Ricardo Almeida camps before moving to the Allstar camp under coach Jamal Patterson. Varela is a young fighter making her first trip to the United States. Her ground game has holes, and she’s fighting an opponent who will enjoy the home-field advantage of fighting in her own backyard. The deck is stacked against Varela. 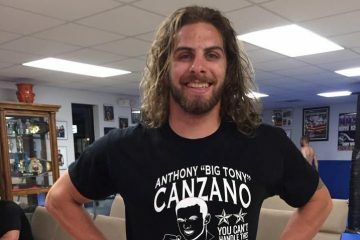 Chookagian will have a four-inch height advantage on the feet and should be able to gain the upper hand on the Brazilian in both the stand-up and the grappling departments. Chookagian might not get the submission finish, but she should be able to take home the decision victory. Shooto kicks off its 2016 series of shows with a card that features a Pacific Rim 155-pound title fight and a headlining rematch between Yutaka Saito and Yoshifumi Nakamura for the organization’s lightweight (145-pound) championship. Saito claimed the belt with a win over Nakamura in their previous scrap, but now he’ll be forced to defend the crown against the ex-champ. 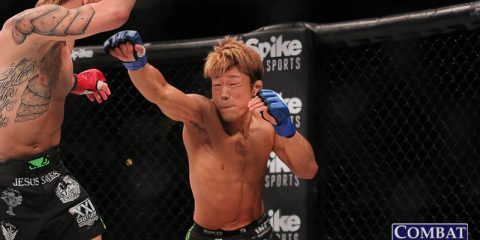 The 28-year-old Saito debuted in 2011 and went 3-1-1 through his first five fights. He’s gone 7-0-1 over his last eight contests, but Nakamura is his only truly accomplished foe within that stretch. Saito, a Shooto mainstay throughout his career, trains at Paraestra Koiwa. He has stopped one opponent with strikes and one adversary via submission. The remaining 11 outings on his resume have gone the distance. Saito captured the Shooto gold from Nakamura in May with a decision win. 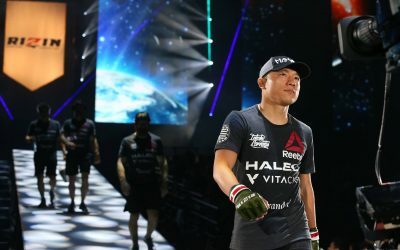 The 27-year-old Nakamura has been a journeyman on the Japanese MMA scene. He debuted in 2009 and was soon competing for stretches with Shooto and Deep. He has bounced between 145- and 155-pound weight classes. During this early part of his career, he lost to such notables as Yo Saito, Yuta Sasaki, Wataru Miki, Hiroshige Tanaka and Taiki Tsuchiya. He also claimed victories over Shigeki Osawa, Daiki Takashima and Akitoshi Tamura. Nakamura’s run to the Shooto title started in late 2013 when he picked up the first of four wins before fighting Japanese legend Caol Uno for the lightweight crown. Nakamura claimed the decision win over Uno, but he was unable to turn around and defend the title against Saito. After relinquishing his belt, the Mach Dojo fighter was served with another loss courtesy of UFC veteran Michihiro Omigawa. Nakamura has had an up-and-down career against top competition. Saito, meanwhile, has established himself as a presence in the Shooto 145-pound weight class. Nakamura could turn the tide and pull off a win in this rematch, but he’s giving up height and reach to the taller Saito, who took the unanimous verdict when they first met. Saito is a grinder and so is Nakamura. It’s easy to predict that this fight goes the distance. It’s not so easy to predict the winner, however. Saito was successful in the first meeting, though, and he should find repeated success in this second meeting. It will be closer than the first fight, but Saito will emerge with the belt around his waist.